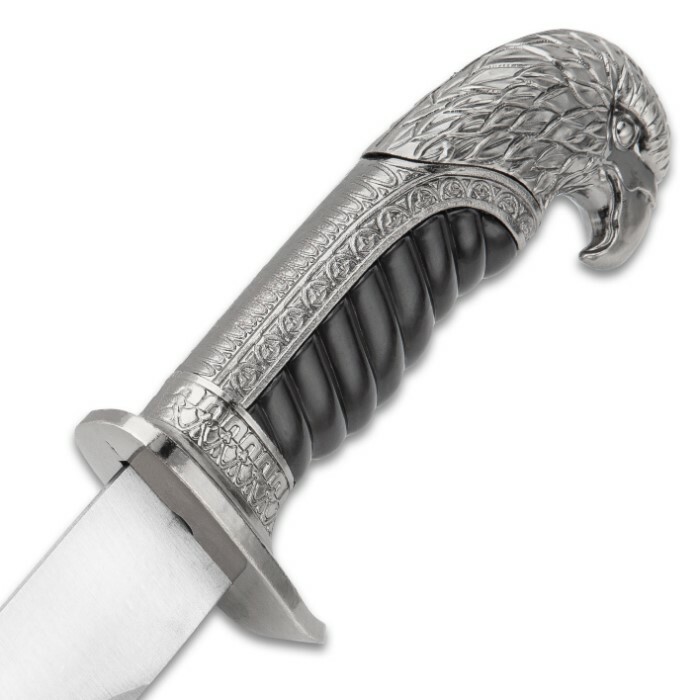 Our Royal Hunter Eagle Head Knife looks like it could be a hunting knife carried on the belt of one of the royals of Europe while out on the hunt in the king’s forest. 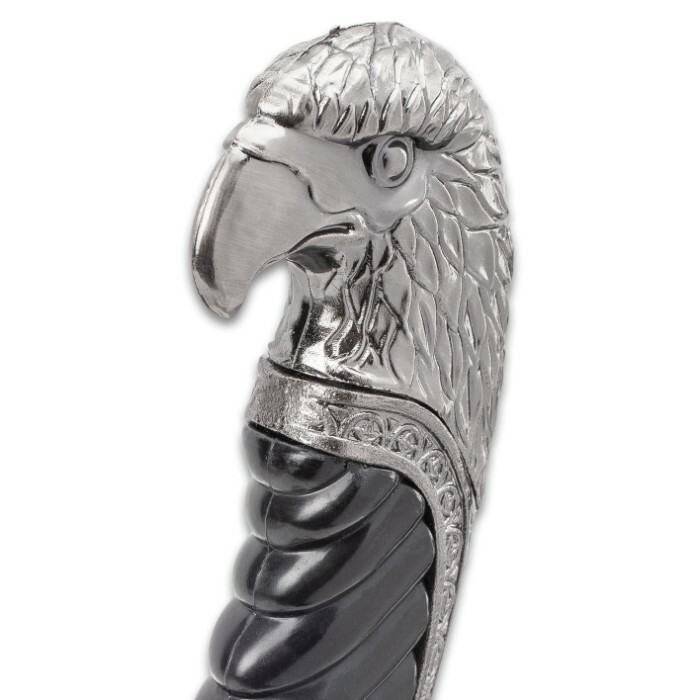 The antiqued, silver-colored metal alloy and black TPU handle is beautifully crafted into the head of an eagle and features grooves to assure a comfortable grip. 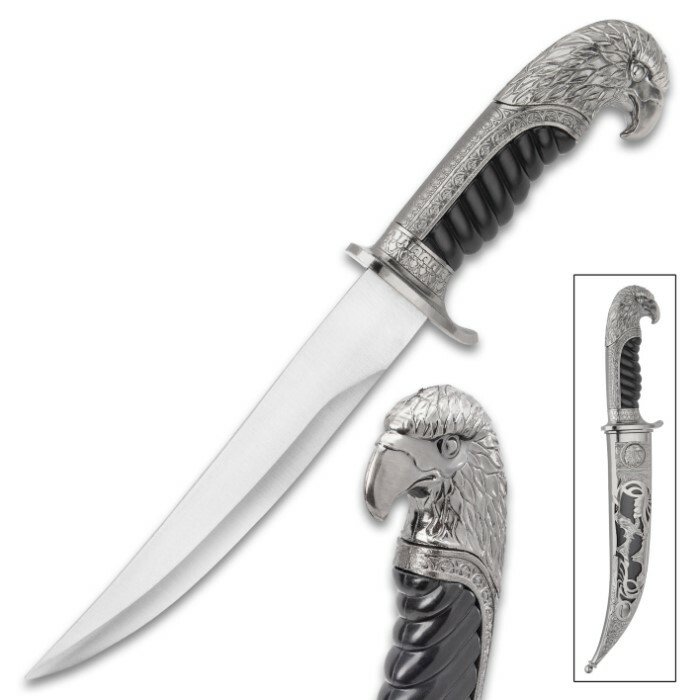 The fixed blade has a 7 1/2” stainless steel blade that slides perfectly into its ornately designed silver-colored metal alloy and TPU sheath. 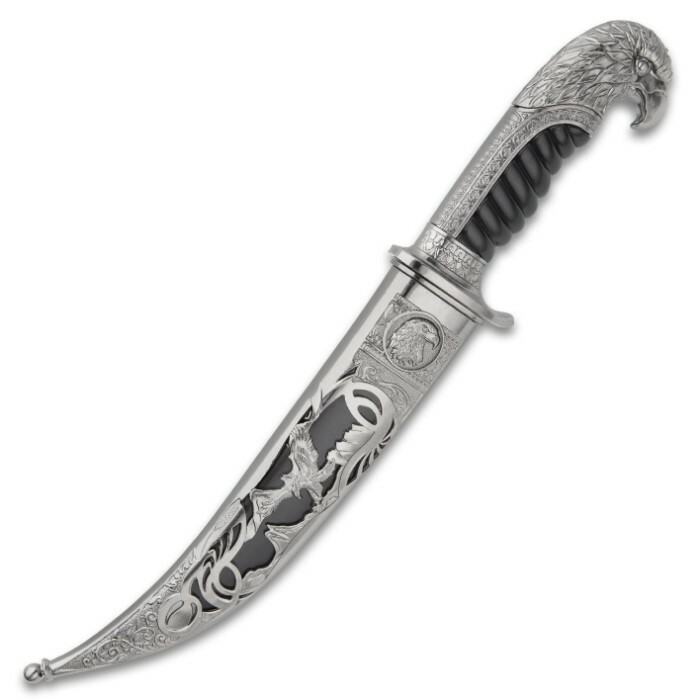 This fixed blade is an heirloom piece you must have for your collection! 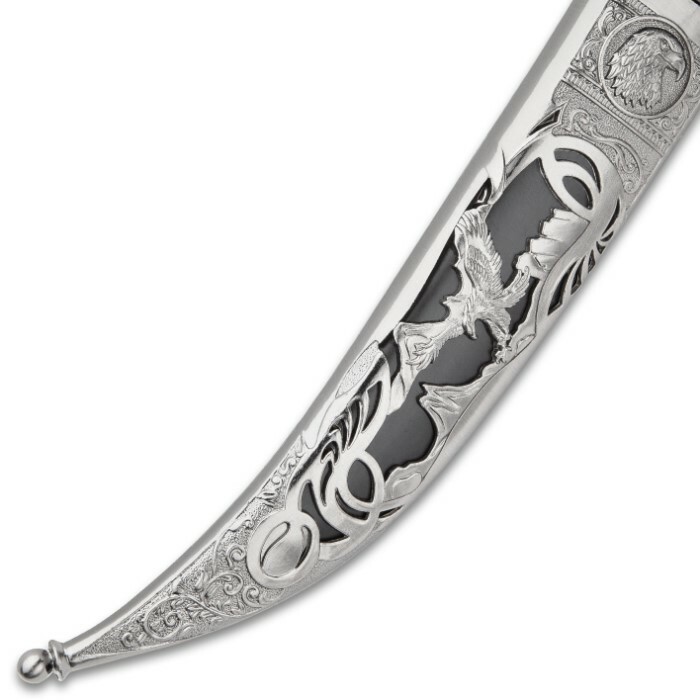 It makes a handsome display piece for your home, office, cabin or lodge.